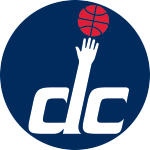 Wizards Today provides the daily Wizards storylines, upcoming interviews, practice and game schedules as well as links to top stories and statistics. The Wizards defeated the LA Clippers last night 100-91 to split the season series. The Wizards square off with the Los Angeles Clippers tonight to complete their season series with the Clippers. The Wizards were defeated by the Brooklyn Nets last night 103-98 on the front end of their back-to-back that continues against Memphis in DC tonight. The Wizards are in Brooklyn tonight to face the Nets and end their five-game road trip. The Wizards will play the Brooklyn Nets tomorrow night in their return to the East Coast. The Wizards finished the West Coast portion of their road trip 2-2 after a 113-112 loss to the Clippers. The Wizards finish up their West Coast swing with a trip to Los Angeles to play the Clippers. The Wizards defeated the Suns last night 109-99 for their second consecutive win. The Wizards suffered their second largest loss in team history as they were defeated by the Utah Jazz 116-69. The Wizards begin their five-game road trip tonight as they face the Utah Jazz in Salt Lake City.